A two-alarm fire destroyed a mobile home on Starboard Lane off Staples Point Road early on Christmas Eve. 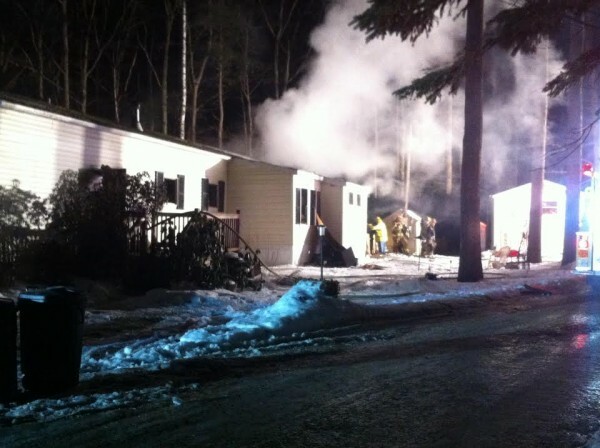 FREEPORT, Maine — A two-alarm fire destroyed a mobile home on Starboard Lane off Staples Point Road on Christmas Eve. Freeport Fire Chief Darrel Fournier said the lone occupant of the home was there when the fire started and got out on his own before firefighters arrived just after 5 p.m. The fire was knocked down in about 15 minutes, he said. Fournier said that with only two firefighters on duty, he called the second alarm — drawing firefighters from Brunswick, Pownal, Durham and Yarmouth — to ensure enough manpower to battle the flames. He said he is frustrated with the lack of staffing.